Give your weekend wardrobe a new go-to with this midi dress. 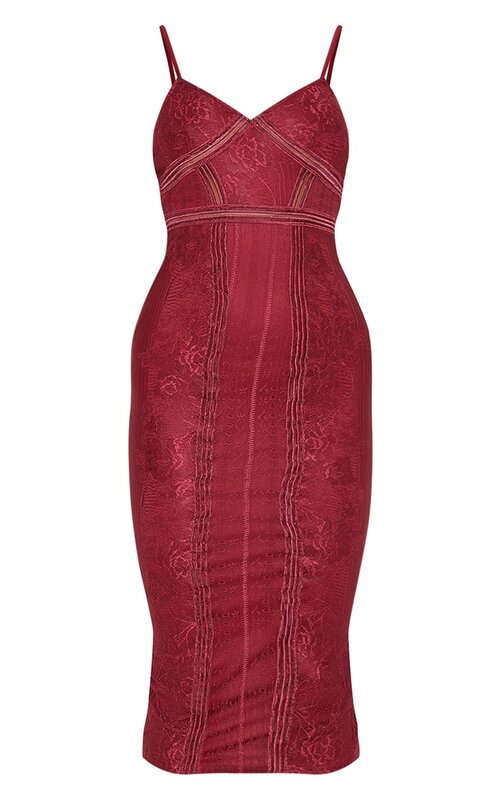 Featuring a burgundy lace material with contrasting mesh stripe inserts, thin shoulder straps and midi length, we're obsessed. Team it with some strappy heels for a look we're loving.